Established in 2007, nch technoloGy is a trusted, premier provider of Domain & Website Design Solutions for the Internet industry. As the eighth ICANN-accredited domain registrar, NCH technoloGy, has registered over 500 domains worldwide and has clients and customers in over 9 countries. nch technoloGy,USA provides perfect environment for your small or medium-sized business to grow. With DomainPeople’s FlexCloud™ Sites, you can take advantage of state-of-the-art technology so your site traffic spreads across an entire cluster of servers seamlessly. You get the benefits of the cloud without a premium price tag. 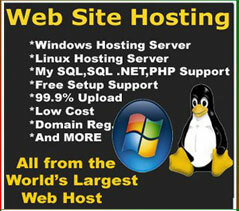 As a premier domain solution provider, NCH technoloGy offers you more than just domain registration. When you register your domain names with us, you also get all the features and tools you need to successfully manage your online identity. NCH technoloGy,USA’s two reseller programs – PrivateBrand and PartnerDirect API – are designed to accommodate the needs of resellers from a fully brandable turn-key storefront solution to an integrated API that resellers can easily add to their existing customer management systems. We also provide full support for our resellers with 24/7 live support and a dedicated account executive to support you every step of the way.